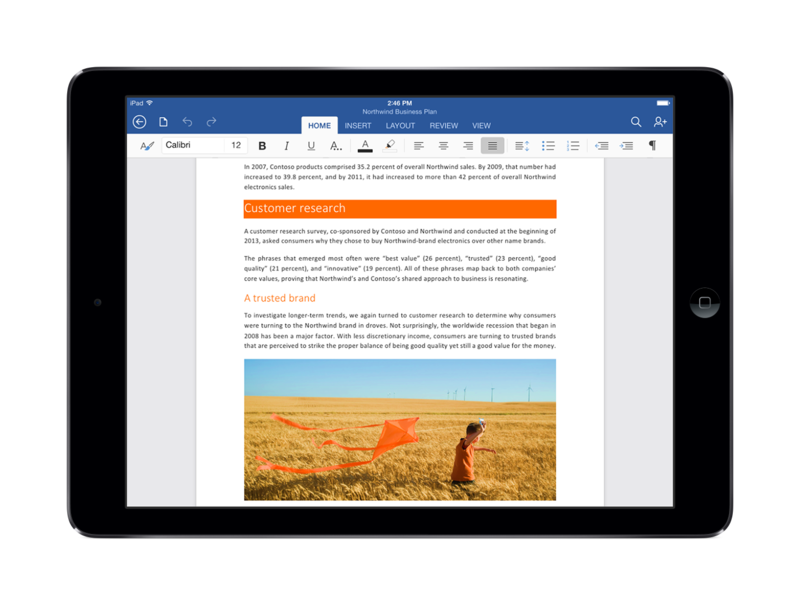 Despite the presence of iWorks and numerous other productivity suites on iPad, many users were hoping Microsoft would eventually roll out a version of Office for Apple’s tablet. The biggest sticking point was Surface -- Microsoft’s suite is, after all, one of that tablet’s biggest selling points, and providing Office for rival devices could prove risky. At the end of March, Microsoft responded to the demand by releasing free iPad apps for Word, Excel and PowerPoint and tackled the Surface issue beautifully. The apps are excellent, fully touch optimized, and designed from the ground up to run on an iPad. But they require you to have Office 365 to create or edit documents, which isn’t a restriction Surface users have to worry about. The apps were an instant hit, immediately rocketing to the top of the free charts, and racking up a whopping 12 million downloads by early April. On Monday, Microsoft's Julia White told the crowd at the TechEd conference in Houston that the apps have been downloaded a further 15 million times, for a grand total of 27 million -- in just 46 days. To save you doing the math, that works out to around 587,000 downloads a day. The apps are must haves for iPad owners with an Office 365 subscription (and they work very well as document viewers if you don’t have a subscription) but it will be interesting to see if the demand continues over time. Word currently lies at number 4 in the free charts, with Excel at number 26 and PowerPoint at 35 -- so their popularity looks to be on the wane slightly.